So after the success of the recent White and Milk Chocolate Malteser traybake (and inspiring some non baking friends to try it out) I stuck to my guns and tried the recipe again with some cheeky changes. Half the fun of baking is creating something new from an existing recipe. It worked. Thankfully. I was concerned that the lack of crunch in the Aeros would make for a very soft traybake, so I compensated for this by making the biscuit pieces a bit bigger this time. The other thing I realised – let the melted chocolate, butter and syrup mix cool a little before adding the Aero. Because it’s a softer consistency than Maltesers, it has a tendency to melt into the mixture, leaving a nice mint taste but a lack of bubbles. Obviously you don’t want the mix to be so cold it’s almost set, but leave it a few moments before pouring the Aeros in and mixing them with the biscuits. 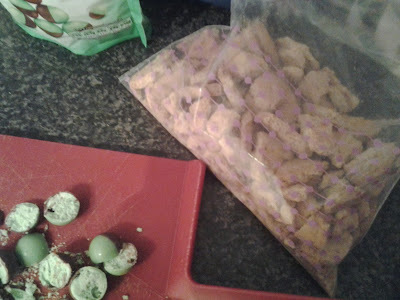 My other learning curve, was don’t add green food colouring to melted white chocolate. 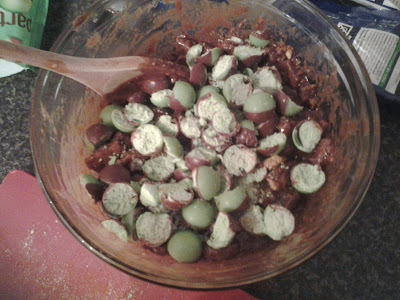 I thought I’d be smart and colour the white chocolate green for the mint theme, but when I added the food colouring to the melted chocolate, it thickened it up instantly and wouldn’t pour. I then popped it back in the microwave to reheat and… it went solid. So solid (like the 00s band… remember them… 21 seconds?!) that I had to chisel it out of the cup. Baking Fail. 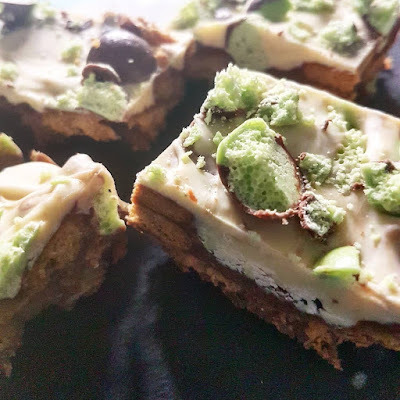 So this time I topped the traybake with halved mint aero balls and white chocolate, however it also works with milk choc. Chocolate and mint is always a winning combination. 1. Line a square 20x20cm tin with greaseproof paper. 2. In a medium pan placed over a gentle heat, melt together the butter, chocolate and syrup. Stir the mixture continuously as it begins to melt, once it is smooth and everything combined, remove from the heat and place to one side. The golden syrup gives it a great flavour! Leave to cool slightly. 3. 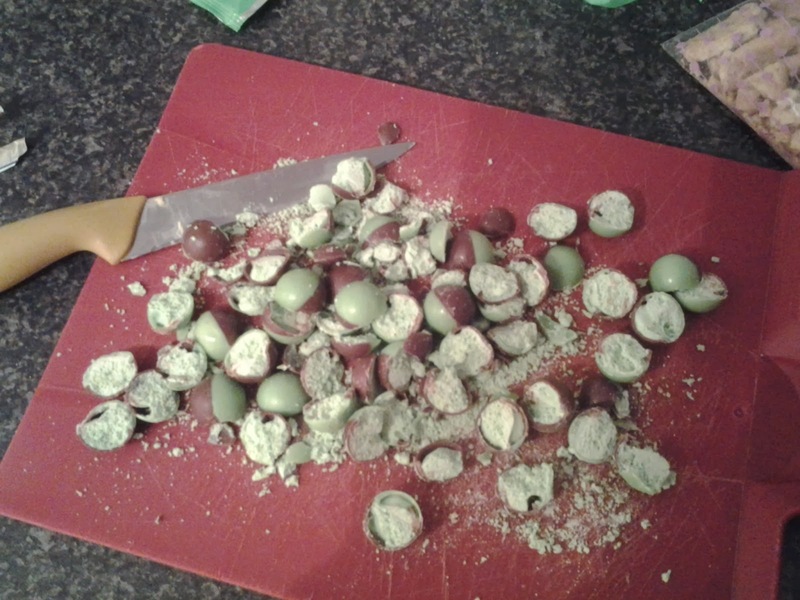 Using a sharp knife, roughly half the Mint Aero Bubbles. Place digestive biscuits in a bag and lightly crush with a rolling pin so you have nice chunky pieces. Add these to the cooled chocolate mixture and stir to incorporate. Add the halved Mint Aero Bubbles at a point when the mix is cool enough not to melt completely. Pour into your lined square tin, press down with a metal spoon so you have a smooth, even surface and place in the fridge to chill until set. (Around 1 hour). 4. To decorate, melt the milk chocolate cake covering or white chocolate, depending what you prefer. Spread a layer of melted chocolate over the surface of the chilled fridge cake and smooth out. Leave to cool for a few minutes. 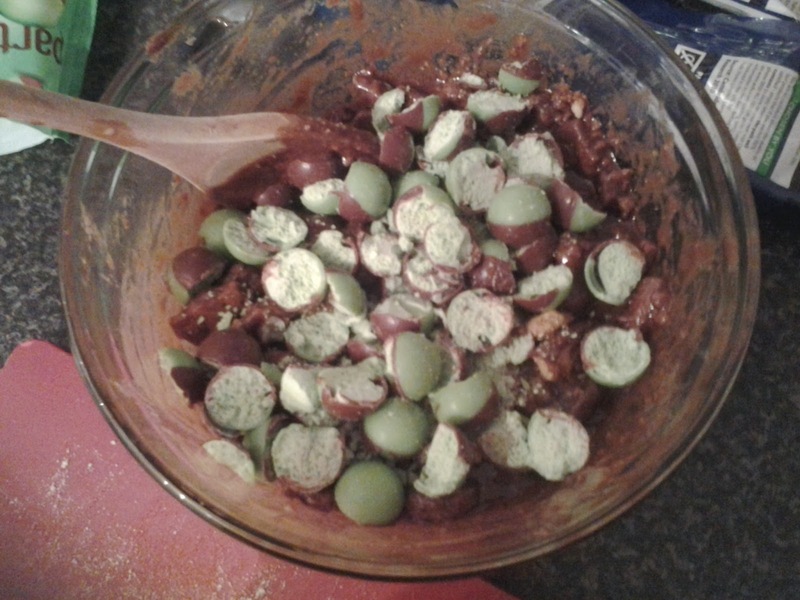 Then sprinkle over the top of the melted chocolate your halved Mint Aero Bubbles. Using a sharp knife, first score into squares, then cut through the score marks. 5. Store in refrigerator until serving. They will keep in an airtight container, in the fridge for a few days (but I guarantee they wont last that long)! Don’t be afraid to use cake covering. It’s ideal for these recipes, as standard chocolate has a tendency to separate when the butter and syrup is added. Don’t add the aero bubbles right away, as they will melt. Let your mix cool ever so slightly, so the bubbles hold their shape. Experiment! Most chocolate products in share size bags will work as part of this recipe. Thanks Simon! Great recipe to try with kids. Hope you keep following my baking exploits.